540 Broadway is at the corner of Steuben Street and Broadway, next to Tri-Centennial Park, in downtown Albany. HW recommends parking in the Riverfront Garage across the street and behind the old Union Station (Kiernan Plaza) and the NYS Dormitory Authority offices from our offices, on Columbia Street between Broadway and Water Street. 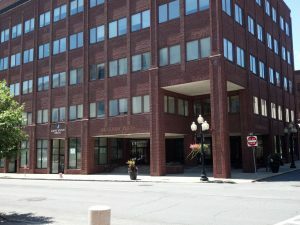 However, if necessary, parking is available at various other locations, including at: the James Street surface lot, underground at 41 State Street (enter from Broadway), and metered parking on Broadway, State St. and Pearl St. Enter through main door at 540 Broadway. You will be required to sign-in at the front desk. Take elevator to 4th floor, and proceed to the left off the elevators to Hoffman Warnick. 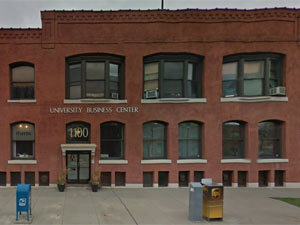 1100 University Avenue is located one block west of the Culver/University intersection. We are in Building B. Parking is found by taking the first right west of 1100 University and then another immediate right into the parking lot. *No attorney-client relationship is established when submitting the form.